Latin America is at the early stages of what is poised to become an extremely dynamic and competitive High Throughput Satellite (HTS) marketplace. On the demand side, bandwidth-hungry applications such as residential broadband, 3G/4G data backhaul/offload and mobility (maritime /aero) have long been awaiting the emergence of lower-cost platforms to enable them. Meanwhile, an increasing number of satellite operators have committed to deploy substantial HTS capacity in the 2014-2016 time period signals, an indication that the evolution of the Latin American HTS market could be driven by supply-side economics. However, what makes Latin America really interesting from an HTS perspective is the range of HTS architectures and business models; and the diverse set of players driving these. Despite some inevitable degree of overlapping among all surfacing architectures and target markets, HTS platforms in the region tend to fall into three broad categories, based on their respective primary targets: Residential Broadband, National Programs and Open B2B Platforms. The Latin American HTS residential broadband segment is at an embryonic stage but projected to become a high-growth “volume” market, with most of the growth coming from 2016 onwards. Northern Sky Research (NSR) forecasts that by 2022 there will be over 620 thousand HTS broadband subscribers, almost tripling the current installed base of broadband VSATs - used across the region for enterprise-class services via traditional Ku-band capacity. 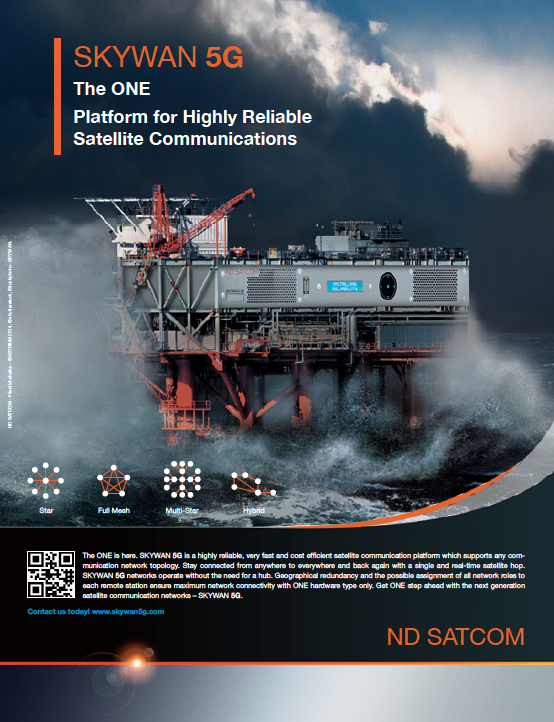 In October 2013, Media Networks Latin America (MNLA), a B2B division of Telefonica Digital, kicked off commercial operations of the first regional high throughput satellite network via a hosted HTS payload aboard Hispasat’s Amazonas 3 satellite. With more than 12Gbps of aggregate IP throughput distributed across 9 spot beams covering some of the region’s most populated metropolitan areas, MNLA’s main target is clearly the residential broadband market. Similarly to how MNLA approached the DTH market, it has adopted a wholesale, white-label HTS service distribution model. This is: MNLA did the heavy-lifting of procuring, deploying, integrating and operating the hybrid broadband infrastructure so that service distributors can rely on such infrastructure to sell and brand their own services, without the need to deal with the complexities of managing core network resources. Some countries in the region are actively seeking technology independence through government-funded space programs for the design, construction and operation of national communication satellites, usually with hybrid FSS /HTS payloads. Early in 2014, the Bolivian TKSat-1 satellite, manufactured under the terms of a cooperation agreement between Bolivia and China, entered geostationary orbit with a limited number of spot beams. Argentina’s state-owned operator ARSAT also has plans to include Ka-band spots in the future but Brazil’s satellite program is perhaps the best example of how large and relevant national programs can be for domestic HTS markets. Brazil´s Defense and Strategic Communications Geostationary Satellites (SGDC) are being purposely designed and built to provide Brazil with independence from the commercial satellite sector to meet the demands of strategic defense, civil and social inclusion objectives. The first SGDC satellite (SGDC-1), expected to launch in 2016, will count on X-band capacity for defense applications but will also host a large multi-spot-beam Ka-band payload with an estimated capacity of over 40Gbps, to be mainly used to bridge the “middle mile” digital divide in key areas of the country. This where most of the traditional Latin American FSS satellite operators, including Intelsat, Telesat, StarOne, will be categorized. With the first of the series of EpicNG satellites (IS-29e) scheduled for launch in 2015, Intelsat will be the operator showing the way for “open” HTS B2B service models. EpicNG is truly an evolutionary progression of the traditional model of SATCOM capacity agnostically leased to service providers that use such capacity as raw material to craft their own differentiated service offerings. Indeed, initial focus is on Ku-band spot beams ensuring a good degree of backward compatibility for traditional service providers and legacy grounds systems. 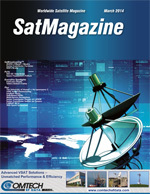 Such natural progression is considered vital for the sustainability of non-broadcast B2B satellite applications such as backhaul, being increasingly challenged economically by the expansion of terrestrial networks and the transition from a voice-dominated to a data-dominated mobile environment—with inherently lower ARPU-to-traffic ratios. While some industry pundits do not view HTS as a true paradigm shift as—they argue—spot beam satellite technology is a natural progression for satellite architectures, if one looks at HTS’s long term impact, it does appear that the shift will bring big challenges and opportunities to the Latin American satellite service ecosystem. Residential Broadband: The number one priority in this segment is achieving the lowest possible operational cost per bit on the satellite. This usually pushes HTS architectures towards some degree of vertical integration; such as when the satellite payload, network infrastructure and service offering are managed by a single player. However, in a region as geographically spread and culturally diverse as Latin America, no single satellite player has the necessary on-the-ground market visibility and retail reach so developing efficient commercial distribution pipelines is as critical as technical efficiencies. Telecom and mobile operators would be ideal HTS distributors if it was not for the fact that, in the grand scheme of things, satellite markets are so small to them nowadays that it could be a challenge for true commercial engagement. On the other hand, smaller, specialized distribution partners can show high engagement levels but have less retail reach and branding power than telecom/mobile operators. As evidenced by the diverse set of partners selected recently by MNLA, the path of least resistance for an efficient regional sales pipeline could rather hinge around cherry-picking partners that provide a good mix between these two extremes. National Programs: Broadband access is a critically important driver for economic growth, prompting national governments to foster development or to directly invest in infrastructure to bridge the digital divide. Key is that end-to-end broadband services can be government-subsidized for social inclusion; and one aspect in Latin America is that paths taken by national administrations vary widely depending on considerations like population size /spread, geographic extension, political shifts and state of the terrestrial infrastructure. As an example, Colombia decided a few years ago that they could make better use of the money budgeted for SatCol (Colombian Satellite) by using such funds to extend the reach of long-haul fiber. On the other hand, with the SGDC government program, Brazil will rely on satellites to complement Telebras’ fiber footprint. Focus on the middle mile means need to efficiently interwork with last mile access technologies. Indeed, Brazil is developing 450 MHz 4G technology which -as a result of the propagation benefits of the 450 Mhz spectrum band- promises to offer a good compromise between coverage and access speed in rural locations. With a rural population of around 30 million people in Brazil—roughly the size of the total population of countries like Peru and Venezuela—Brazil has critical mass to drive economies of scale. Should Brazil’s developments succeed, use of 450 Mhz 4G could then spread into countries like Peru and this could, in turn, change the picture of how satellite HTS can interwork with last-mile wireless access in the region. Open B2B Platforms: Open HTS systems to be provisioned for Latin America will focus on tapping into an established and diversified set of specialized satellite service providers and teleport operators that wish to transition to HTS. This service model is consequently expected to receive great acceptance among satellite service players because they will be able to continue benefiting from capacity intermediation—translating MHz into Mbps and value-add services. What is not yet entirely clear, however, is if, by virtue of the HTS push towards higher traffic volumes, lower prices and IP virtualization, regional transition towards HTS could then sparkle a Darwinian consolidation process among established satellite service providers in the region. 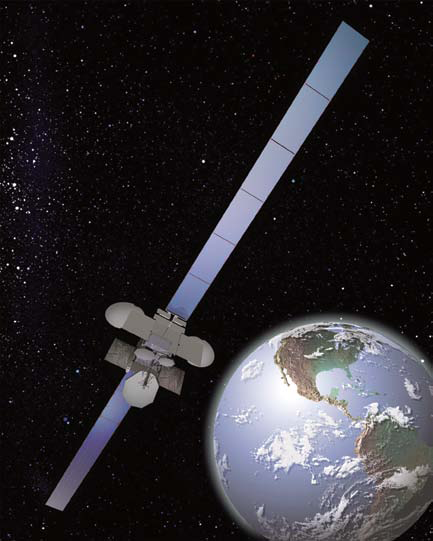 Artistic rendition ofthe ViaSat-2 satellite, courtesy of Boeing. 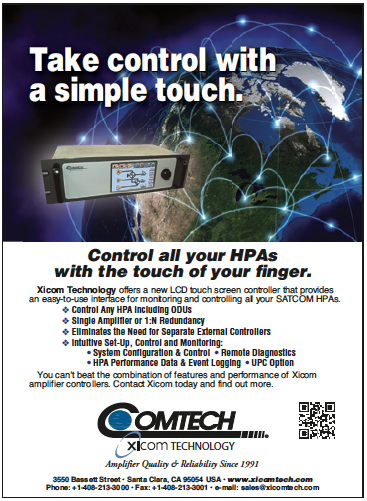 Risks for HTS can be high but so are the opportunities. Currently, all eyes are on MNLA for better estimations about how big and how fast the HTS residential business can become. With HTS giant players such as Hughes and ViaSat watching and already making capacity commitments, MNLA might not keep its first-mover-advantage in the long run but has certainly become a leading case for the true demand of residential satellite broadband. It is worth noting that supply and demand are not fully independent variables. 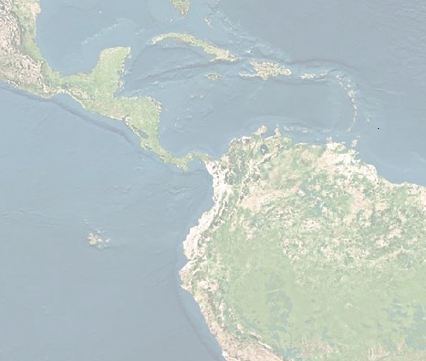 In Mexico, Central America and the Caribbean, the HTS situation appears to be developing quite differently from a supply perspective in comparison to South America, given that these regions above the Equator are expected to experience a dramatic jump of HTS supply in 2016/2017 as both Hughes and ViaSat plan expand their coverage with their respective launches of the Echostar-19/Jupiter-2 and ViaSat-2 satellites. Established satellite service providers are anxious to learn how HTS will impact their business, which will largely depend on how local markets evolve towards either closed systems, open systems or hybrid models. A positive aspect of the emergence of HTS is that the satellite sector as a whole will grow by better enabling uses and applications not well served -from an economic perspective- by traditional FSS. In a sense, HTS will be creating new markets but, what might concern some players, is that this growth will also come with some shacking and shifts within the service ecosystem, affecting the business of established satellite operators and service providers. Also note that FSS supply dominance may not necessarily be transferable to HTS, as evidenced by the large number of players entering the HTS market in Latin America. Clearly, not all HTS platforms are created equal and Latin America is offering a good mix of opportunities for a number of players and service models to co-reside in a sort of “coo-petition” environment. Long term, however, business pressures could push the region towards wholesale models seeking increasing levels of technical and commercial distribution efficiencies. Carlos Placido is an independent consultant with 20 years of progressive experience in the areas of telecom consulting, business development, engineering and R&D. With focus on emerging satellite markets and technology, he has conducted numerous strategic consulting projects as well as research and management activities, including global market research studies for Northern Sky Research (NSR), business development support for technology vendors and project management at Telefonica. Until 2004, Carlos led a development team at INTELSAT, where he was responsible for identifying and validating future satcom uses of emerging video and IP data technologies. Carlos is also contributor and administrator for Satcom Post, an online professional knowledge-sharing platform. He holds an engineering degree from the University of Buenos Aires and an MBA from the University of Maryland, Smith School of Business.